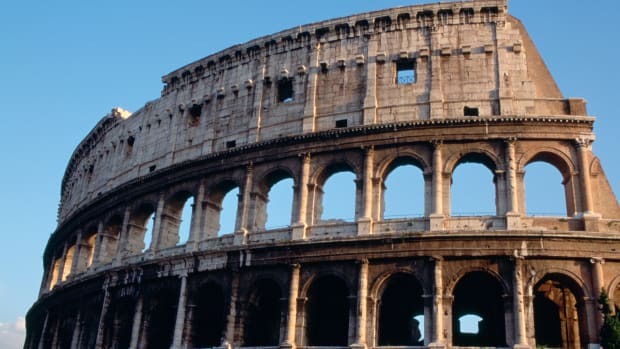 Some have been broken, while others remain stubbornly resistant to code-crackers. 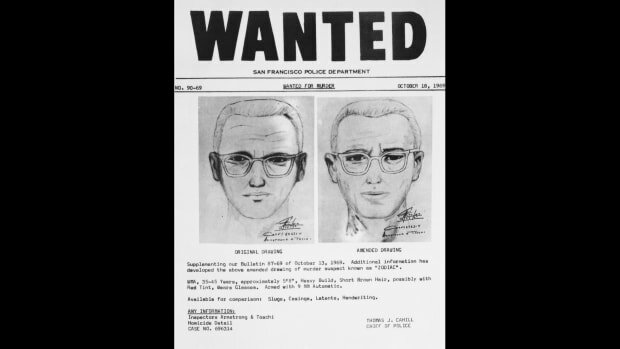 Killers usually go to great lengths to avoid the police and media attention, but the self-proclaimed Zodiac, who terrorized the Bay Area in the late 1960s and early 1970s, was an exception. He called the police on two occasions to report murders he had committed and sent dozens of letters to newspapers. 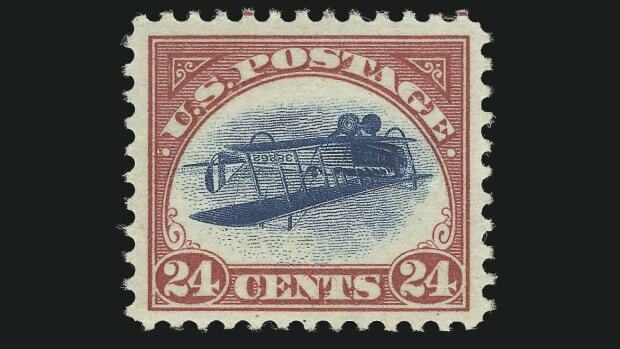 As a cryptologist, I am most interested in the four that came with ciphers, or coded messages. Some were quickly deciphered, but others have stymied the cryptology community for decades. Below, I give a rundown of the killer’s four codes and what progress has been made to solve them. The first cipher Zodiac created was his longest, 408 characters. The killer split it into three pieces of equal length and mailed two to newspapers in San Francisco and one to a paper in nearby Vallejo, demanding they be printed or he would go on a “kill rampage.” The ciphers were published. WHO CRACKED IT: Within about a week North Salinas schoolteacher Donald Harden and his wife Bettye contacted The San Francisco Chronicle with their solution. Bettye is credited with discovering two cribs, words or phrases suspected to appear in the message. Cribs are powerful cryptanalytic tools, because once a location or locations can be determined for them, several substitutions can be identified, which can accelerate the unravelling process. Inspired by the killer’s obvious craving for attention, Bettye guessed that the message would begin with the word “I.” She also believed the word KILL or KILLING—or even the phrase I LIKE KILLING—would appear somewhere in the message. Her guesses turned out to be correct. 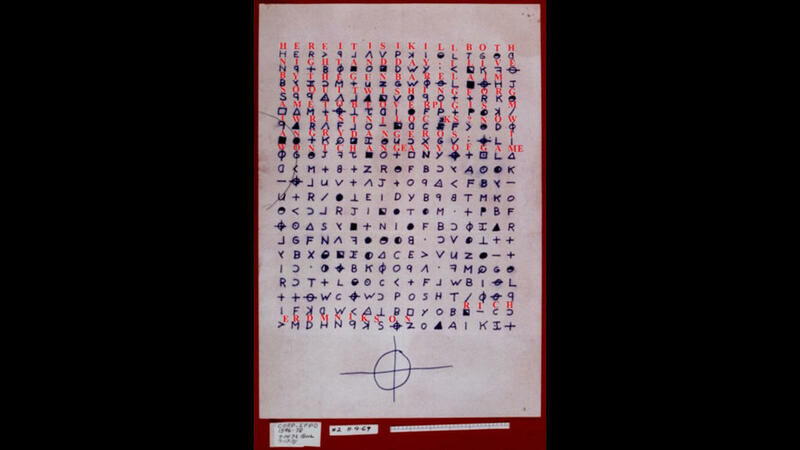 INTRIGUING CLUES: Knowing how Zodiac selected the strange symbols he used to represent his “alphabet” might reveal something about him, such as his education or special interests. There have been many ciphers over the centuries that used strange symbols that range from systems intended for kids to alphabets used by occultists. 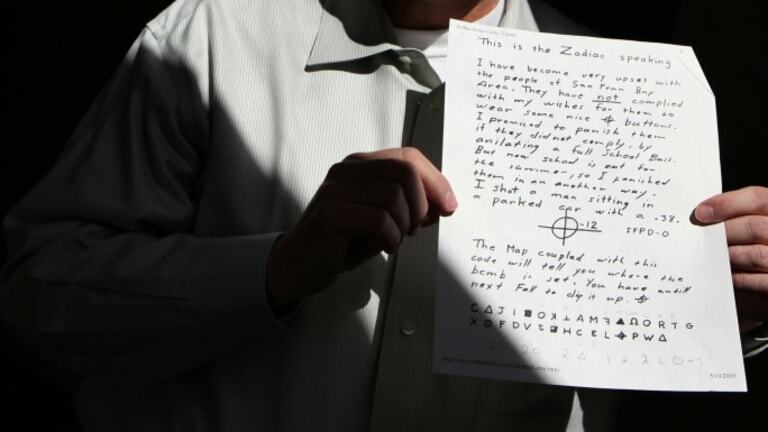 One example is even called “The Zodiac Alphabet.” While many of these have some symbols in common with those used by the killer, none matches closely enough to be considered more than inspirational. Elements of the cipher might even tell us something about the killer’s occupation or place of employment. Among the symbols included in his ciphers were circles with different portions shaded in—ideograms believed to have been invented by Harvey Poppel of Booz Allen Hamilton, a management-consulting firm known for its defense and intelligence contracts. The use of Harvey Balls or Booz Balls, as they came to be called, spread to other companies and products, most notably the qualitative symbols used in Consumer Reports product ratings. If the killer’s use of such symbols originated from having seen Harvey Balls, it’s possible he may have had a connection to Booz Allen Hamilton or a related company. 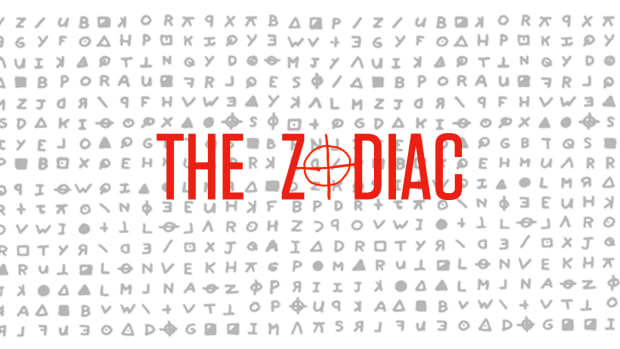 While Z 408 required only 20-some hours for the husband-and-wife team to solve, Zodiac’s next cipher stumped everyone—experts and amateurs alike—for decades. While it appears to be the same sort of cipher, it has challenged even sophisticated artificial-intelligence software programs such as CARMEL, designed by University of Southern California professor Kevin Knight. The killer may not have liked that his first cipher was broken quickly and designed an improved cipher that, for example, wouldn’t begin with “I”—and if the word KILL appeared, the pair of Ls would be enciphered as two different symbols to make it harder to locate. 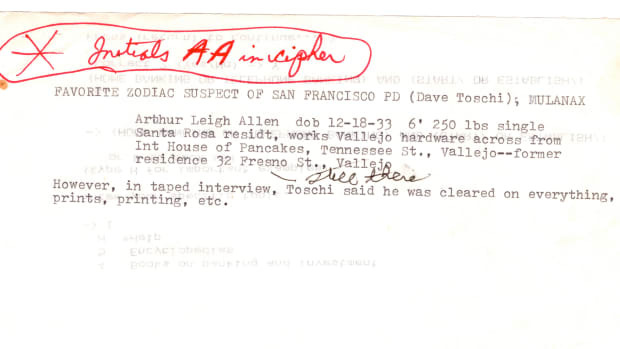 GETTING INTO THE KILLER’S HEAD: After immersing myself in books about the case and repeatedly re-reading Zodiac’s letters, I had an important insight: the killer was an amateur when it came to ciphers and would likely do things no professional would. In his Z 408, only one letter was ever represented by itself (some instances of E), so perhaps a new twist he used in the Z 340 cipher was to have many letters represented by themselves. In the solution I eventually found, half the alphabet is left unchanged. Even some punctuation, such as the period at the ends of sentences, is left as is. Another trick he played in the new cipher was following eight lines of meaningful text with several lines of gibberish to throw off statistical analysis. He also had the repeated pair + + appear in three places, probably as a way to get would-be-solvers to make them the LL in KILL, which they did not represent this time. 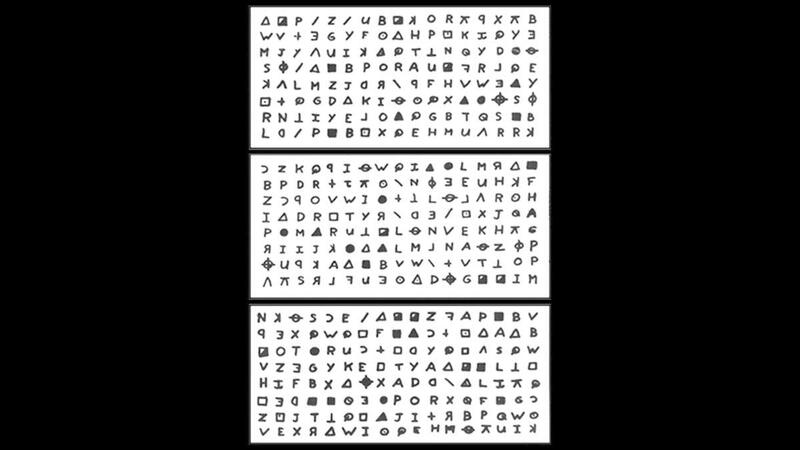 In the Z 408 cipher, Zodiac had two symbols that could stand for either A or S. In the Z 340, the symbol + represented F or G, but never L.
A partial solution to the Z 340 cipher. Also, as an amateur, Zodiac made quite a few mistakes when enciphering. 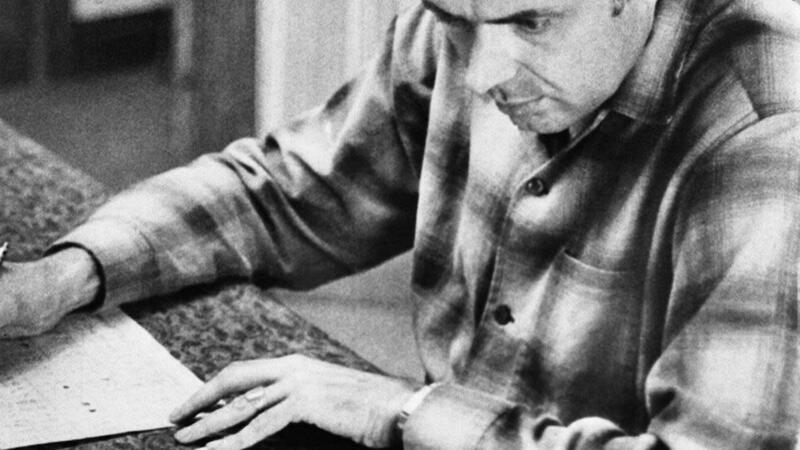 Whenever he wrote in plain English, he made frequent spelling errors. Converting to cipher provided another chance to introduce even more mistakes. We saw them in his first cipher and they are present again in the Z 340. 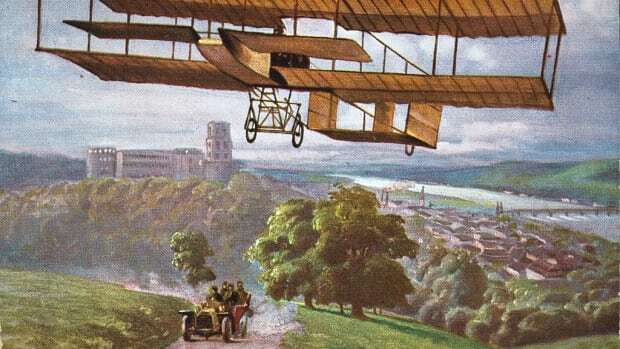 Still, for experts used to letter-perfect textbook ciphers, and software with a low tolerance for errors, the solution ultimately proved elusive. Would the killer really reveal his name? 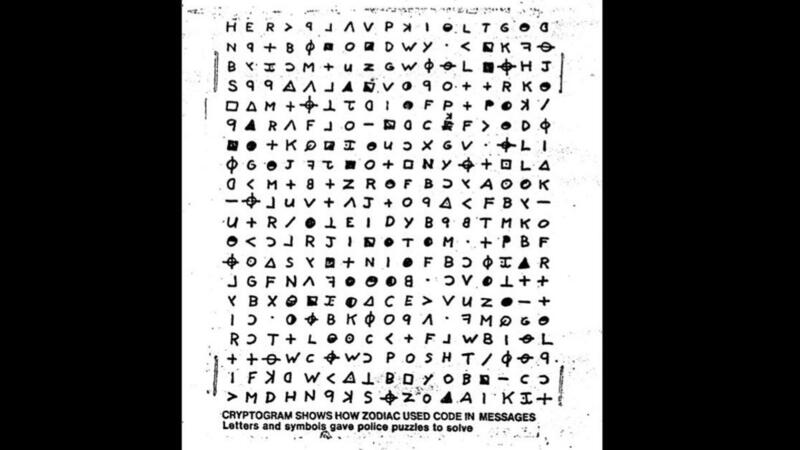 Zodiac made a big promise about the Z 408 cipher, writing, “By the way, are the police haveing [sic] a good time with the code? If not, tell them to cheer up; when they do crack it they will have me.” This was far from true. 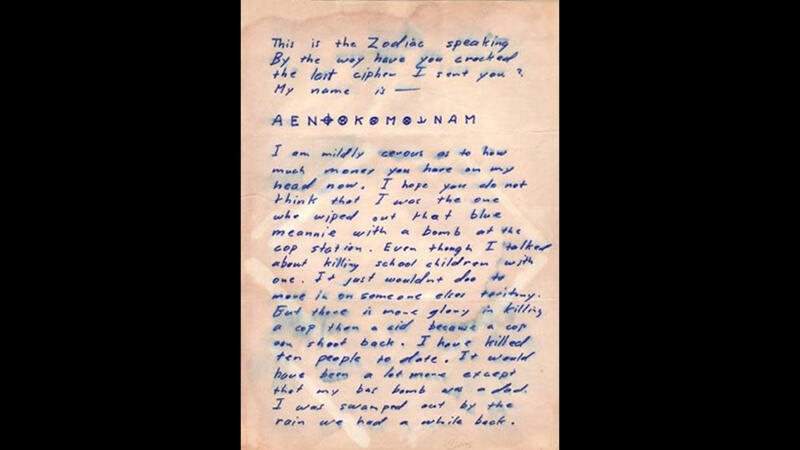 The solution even contained the words “I WILL NOT GIVE YOU MY NAME.” Zodiac may have been lying again when he sent the Z 13 cipher; but on the other hand, the unbroken cipher that followed Z 408 may have given him confidence to truly reveal something significant. One problem is that the message is short enough to offer multiple solutions. If we can get many different names out, how can we possibly decide which is correct? 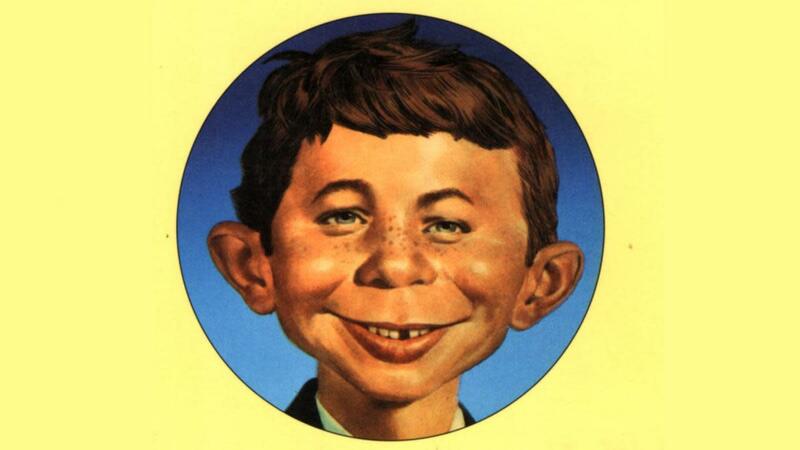 One solution put forth years ago, which I believe is correct: “ALFRED E. NEUMAN,” the mascot of Mad magazine. I think putting this ridiculous name forward as his identity matches the killer’s sense of humor. Also, the first three cipher symbols in the Z 13 are AEN, Neuman’s initials. This is one of several indicators that Zodiac was of above average intelligence. How many people would bother to distinguish north from magnetic north? What sort of work was the killer engaged in that made it important for him to know the difference? The compass is centered at Mt. Diablo. Why? 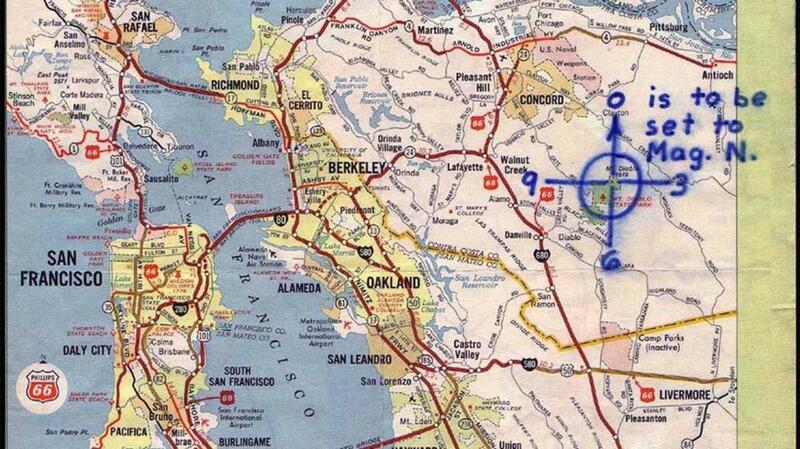 What made this location special to Zodiac? 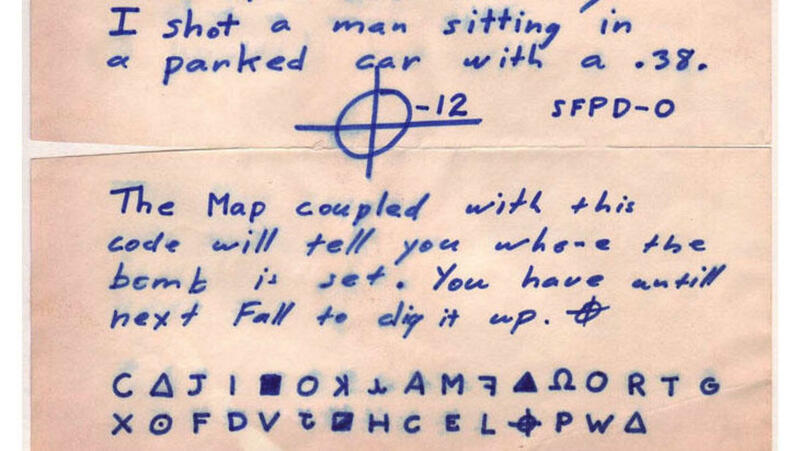 The killer wrote, “The map coupled with this code will tell you where the bomb is set.” In a later letter, sent July 26, 1970, he provided a clue: “PS. The Mt. Diablo Code concerns Radians & # inches along the radians.” Does the Z 32 cipher use numbers to indicate a position on the map? Kevin Knight’s artificial-intelligence program CARMEL can easily investigate such possibilities systematically—and could provide some interesting results. Craig P. Bauer is professor of mathematics at York College of Pennsylvania. He is editor in chief of the journal Cryptologia, has served as a scholar in residence at the NSA’s Center for Cryptologic History and is the author of the recently published Unsolved! : The History and Mystery of the World’s Greatest Ciphers from Ancient Egypt to Online Secret Societies.